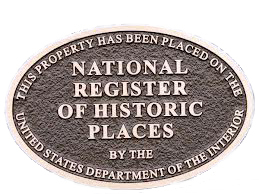 We are very proud to announce that the Mount Tabor Historic District, in Parsippany-Troy Hills Township, Morris County, was entered into the New Jersey Register of Historic Places on January 8, 2015. The New Jersey Register is the official list of New Jersey properties worthy of preservation. The Mount Tabor Historic District is now protected by the review process for public projects established by the New Jersey Register of Historic Places Act (N.J.A.C. 7:4). We are also pleased to share that the Mount Tabor Historic District was entered into the National Register of Historic Places on March 3, 2015. The National Register is the Nation’s official list of cultural resources significant in American history, architecture, archaeology, engineering or culture. The process to get the community listed began in January of 2011. Four years later, we are gratified that the historical significance of our neighborhood is thoroughly documented and officially recognized. Our hope is that it creates more awareness and sensitivity to the unique historical characteristics that contribute to making Mount Tabor such a special place to live.